Here where I live, it's really hot right now. This week is supposed to bring record temperatures and everywhere you go people are sweltering from the heat. In this part of the country, air conditioning is pretty rare, too. We just don't really have this kind of weather very often and so having AC in your home isn't all that justified since it only gets used a week or two out of the entire year. That makes this the perfect time to introduce a soap store! During the heat, I usually take a couple of showers a day. I like smelling good and I love all-natural soap and bath products. 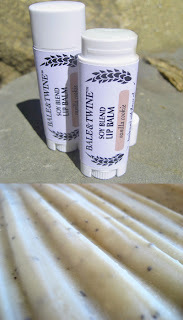 Bale & Twine is a website where you can find just that! Bale & Twine offers a variety of products from their "Baregoods" handcrafted jewelry to soy candles, painted silks by Maggie Holmes and more. 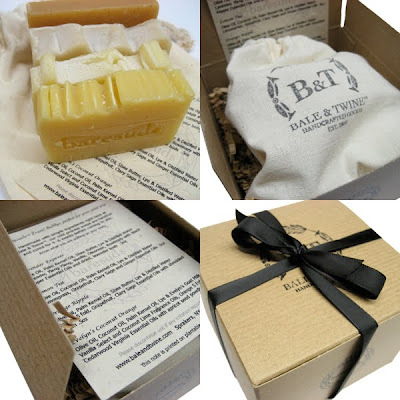 But, what I'm particularly drawn to on this site is their "Baresuds" handmade and hand-cut soaps made with simple, pure ingredients. These soaps come in a variety of scents and ingredients. There are citrus soaps and goat milk soaps, floral soaps and soothing soaps and more! They also offer bath fizzies, body lotions and lip balms! The site's jewelry is also beautiful and the painted silks are breathtaking, so stop by and take a look around their site, click on links, explore and discover. There's gifts for him, for her and much more! YOU CAN CLICK ON THE PICTURES ABOVE TO VISIT THE BALE AND TWINE WEBSITE AND TAKE A LOOK AROUND OR, IF YOU PREFER, YOU CAN CLICK RIGHT HERE! If you like what you see in the Bale & Twine's website, you may also enjoy visiting the Bale & Twine blog or stopping by to say hi on Facebook or Twitter! Whether you're looking for some trinkets to accessorize a party or spice up an outfit, today's feature shop is a stop you won't want to breeze by. 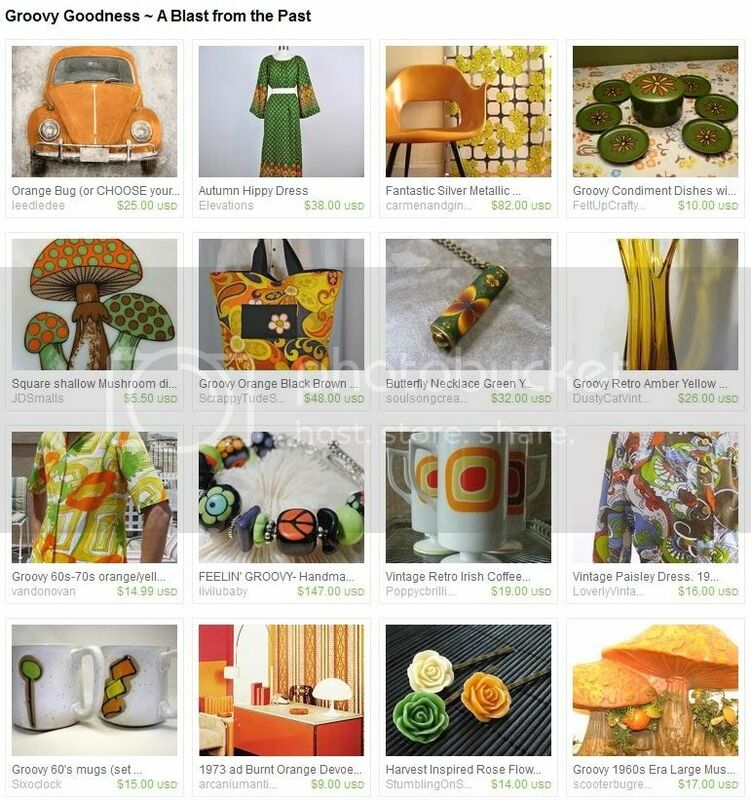 AbsolutelyKismet on Etsy is filled with simple, colorful ideas for home and attire. This shop offers a variety of products from beautiful hemp and beaded jewelry pieces to wine charms for parties and stitch markers for those who crochet or knit. 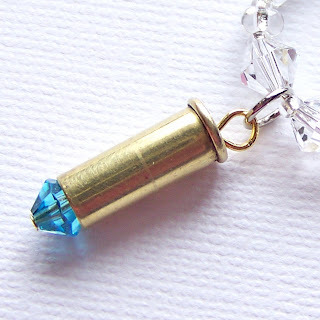 I'm especially drawn to the wine charms in this shop that are designed with shimmering crystals and .22 bullet casings. I find the design to be both innovative and pretty as well as unique all at the same time! At the same time, the bracelet pictured above also caught my eye. 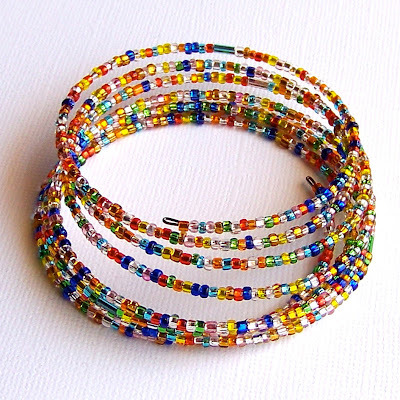 It has a simple elegance that draws me almost as much as the splashes of vibrant color do! The artist behind this shop is from Spearfish, South Dakota where she spends her time crafting and started out in this journey of creativity with making wine charms for family and friends. This grew into a passion for making jewelry as well and she loves designing her pieces with a flair for personal individuality. AbsolutelyKismet takes custom orders for just this purpose and almost everything in her shop is customizable on request as well. This allows you to put your own personal mark of individuality and taste upon whatever you order if the fancy strikes you to do so. So whether you're shopping for a bit of fun decor for a party or some decoration to dangle from your ears, neck or wrist... if you love color this is a shop you won't want to miss! YOU CAN CLICK ON THE PICTURES ABOVE TO VISIT ABSOLUTELYKISMET'S SHOP ON ETSY AND TAKE A LOOK AROUND OR, IF YOU PREFER, YOU CAN CLICK RIGHT HERE. If you like what you see in AbsolutelyKismet's shop, you may also enjoy visiting the Absolutely Kismet blog or stopping by to say hi to the artist on Facebook! With September now here, the urge to redecorate and rearrange one's life is upon us. The handmade market place offers a wide variety of artisans willing to help you out in making your autumn decor and soon-to-be holiday preparations unique! Whether looking for a console table or other new piece of rustic furniture to decorate your home, or even for a couple bookshelves, this is a stop you won't want to pass up! With beautiful pieces hand made by Brandy, this shop is filled with beautiful, rustic charm and also includes a variety of wedding decor and wedding signs painted and/or stenciled by hand! BootsNGus - A place where Handmade and Vintage come together. Lighting is an important part of any home decor endeavor and in this shop you won't be disappointed in the original designs you'll find. ButsnGus specializes in originally designed, up-cycled lighting fixtures with a flair for original design and innovative ideas. In their shop you will find a large variety of lighting options for your home as well as a collection of stylish and affordable vintage housewares. Filled with primitive country charm, this shop carries a variety of small furniture pieces and accessories designed from solid wood and crafted by hand for you. Each piece is made on-demand and built for you alone. With wall shelves and breadboxes, bird houses and more, this is a shop you'll enjoy taking a peek at and perhaps be inspired by as well! The artisan that runs this shop believes that the lighting in one's home becomes the ‘jewelry’ of the home and can really make a statement. And, with the designs in this shop, there's no doubt that you'll be able to do just that! LampGoods on Etsy is filled with beautiful lamp designs to adorn your home with that are created from vintage components and an eye for elegance. I hope you enjoyed today's collection of shops as much as I enjoyed finding them! Etsy is a great place for handmade and that includes hand crafted home decor and innovative ideas for decorating your home.